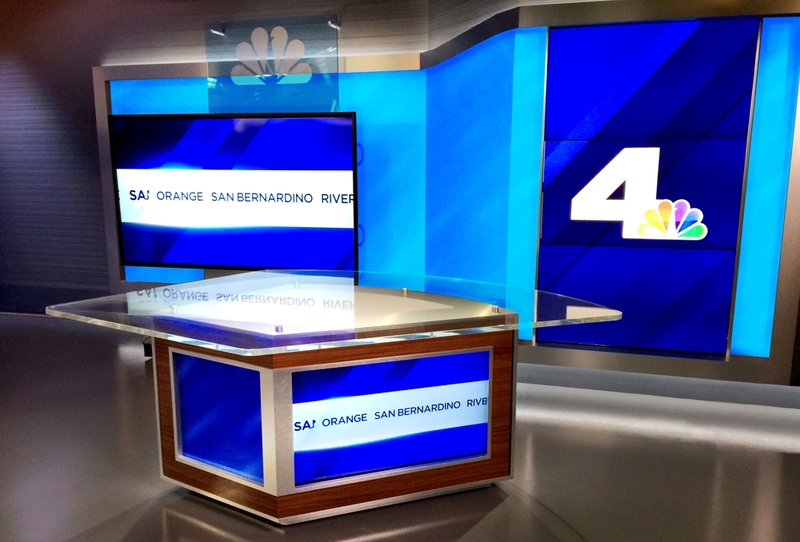 Set that debuted on February 2, 2014. 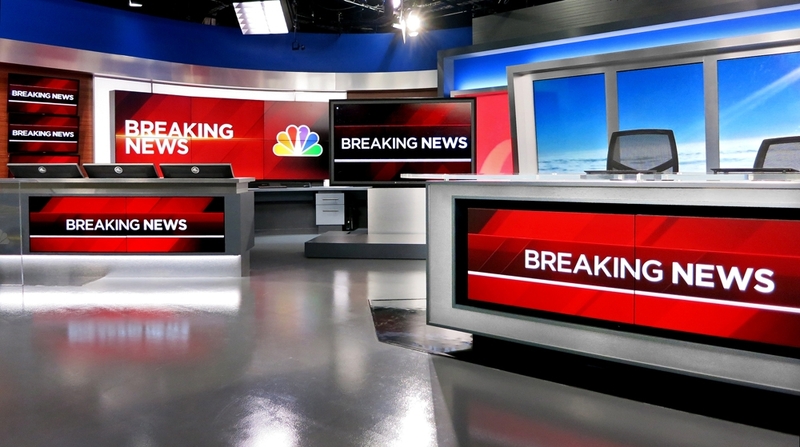 • (5) 85” Plasma monitors. 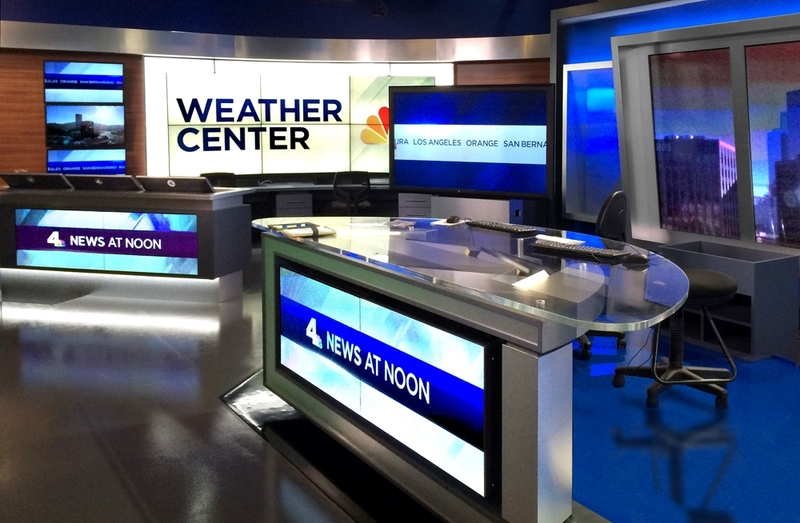 • 42” Salitek MPDP Plasma Seamless Video screens in Anchor and Wx Desk. • 7 mm pixel LED video display panels. • Color Changing RGB LED light boxes. 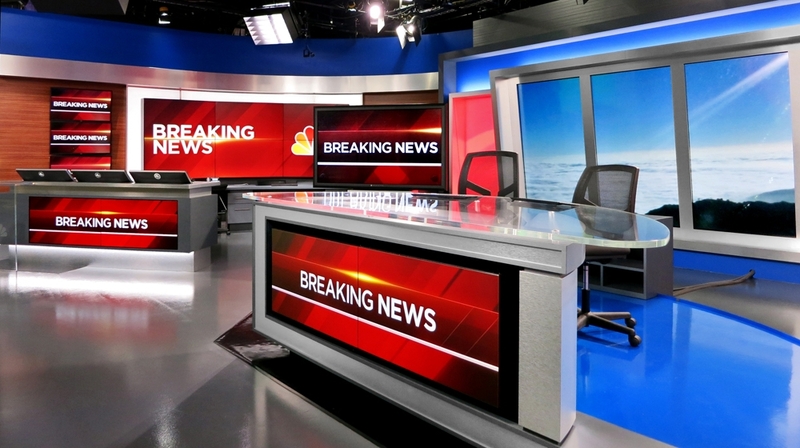 • (3) 65” LCD monitors. • (1) 90” LCD monitor. • 85” Perceptive Pixel monitor. 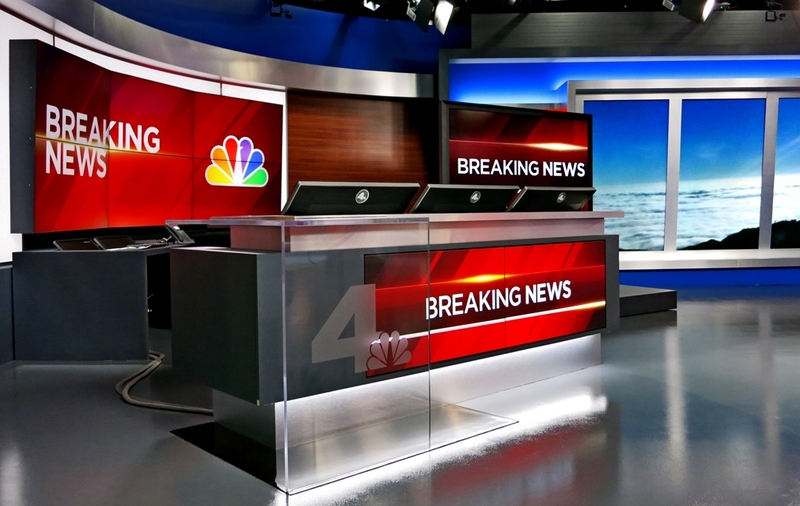 • 55” NEC video wall in weather center. 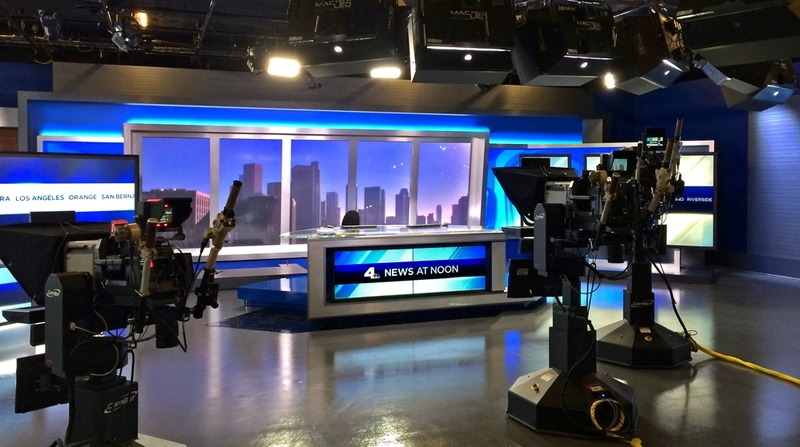 KNBC relocated to the Universal Studios property from its home on the lot of the NBC Studios in Burbank. 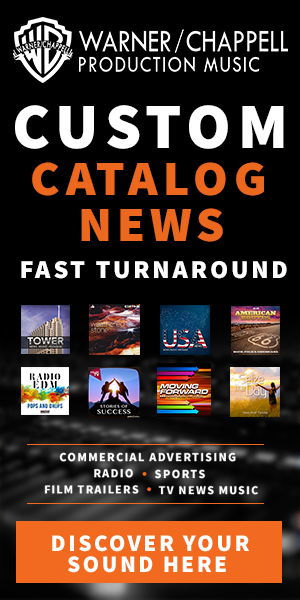 With a brand new facility and the second most competitive market in the country a fresh new look and versatility were the top priorities. 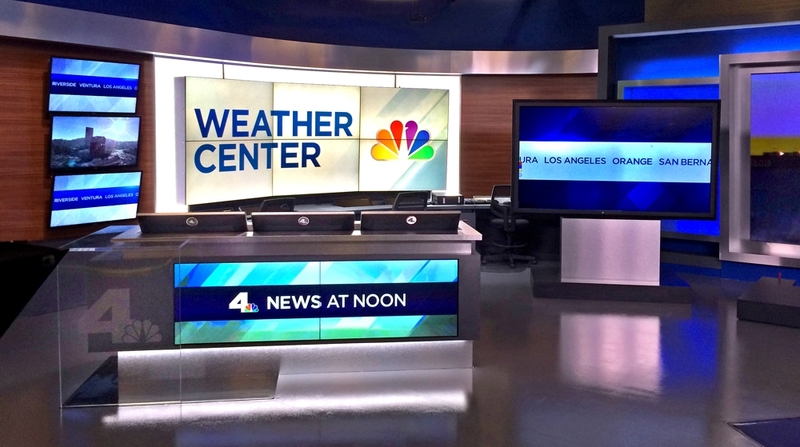 Broadcast Design International designed a digital window wall to showcase the iconic scenery in the LA area and to keep with an NBC theme. 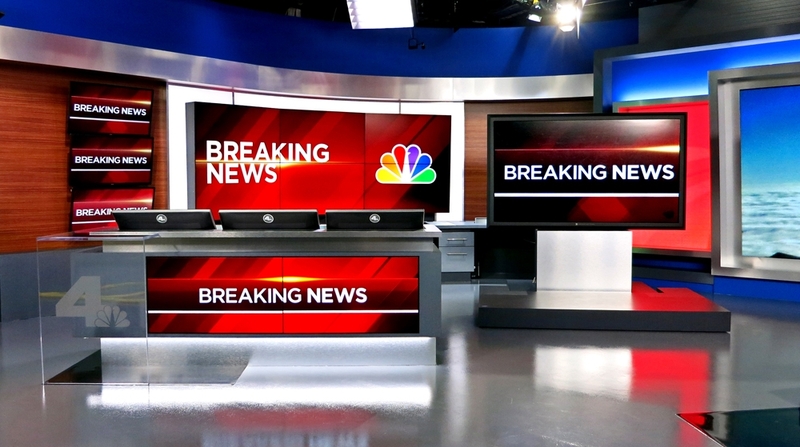 A working weather center was designed that can also be used as a breaking news venue. This was accomplished by disguising the work stations with sunken monitors in the counter tops and using digital branding along with RGB light boxes to change the look and feel of the backgrounds. 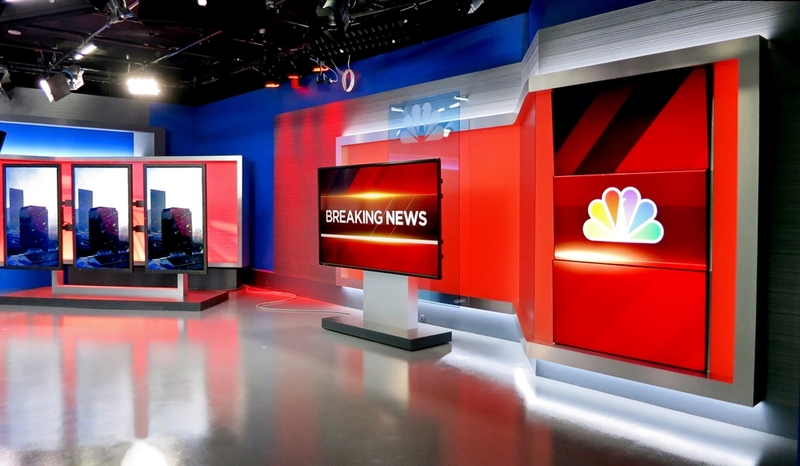 Twenty-seven various video sources were used along with two 7mm pixel LED video backgrounds to allow complete flexibility now and into the future. 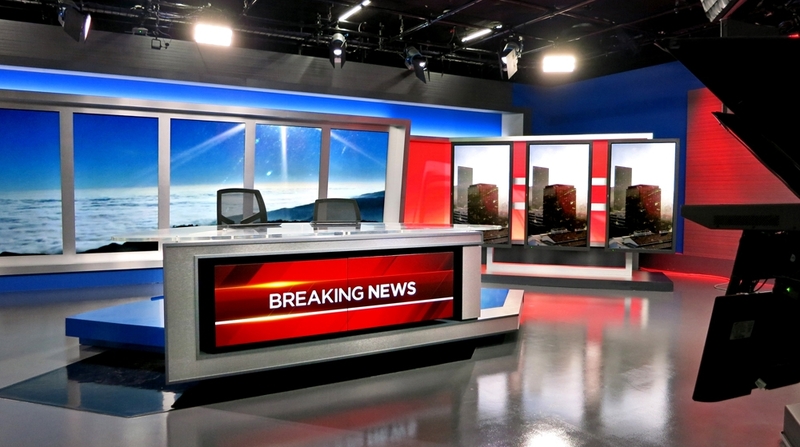 Multiple presentation areas were designed that provide various looks by rotating three 65” monitors from landscape to portrait. 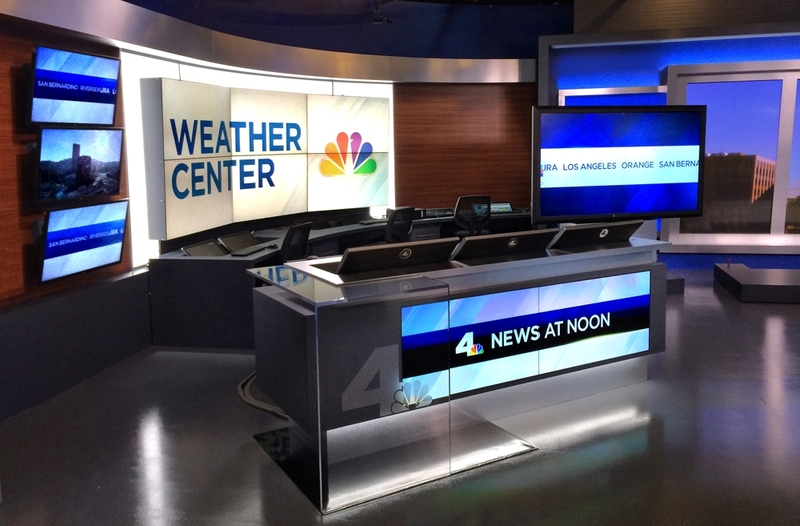 Roll-in elements such as a rolling interview riser with couch and coffee table as well as a three person interview desk gives KNBC the versatility to vary the look and function of programing seven days a week.